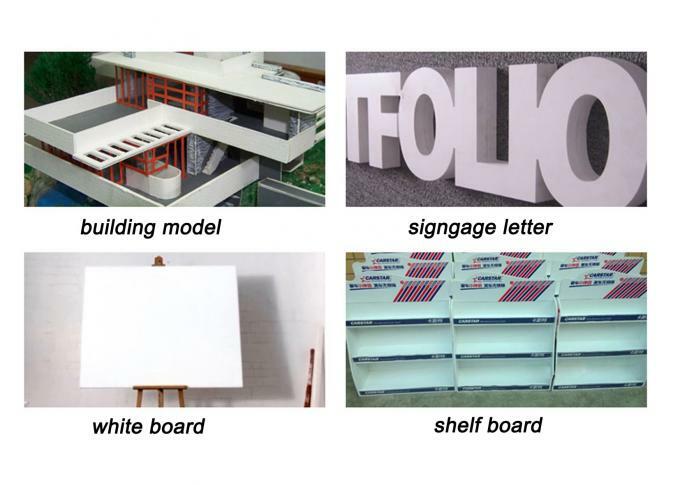 As talking about the advertising signage materials and decorating materials, our PVC Foam Board is a narrow collection of PVC Free Foam Board, PVC Rigid Foam Board, PVC CELUKA Foam Board, which are mainly solid and Matte white color;Customized Colors such as Red, Yellow, Blue, Green, Grey, Black is available for DIY needs; Density from low ones(0.35 to less than 0.50), middle ones(0.50 to less than 0.60), to high ones(0.60 to 0.65) have; Thickness from 1.0mm, 1.5mm,1.8mm,2.0mm,2.8mm,3.0mm,5.0mm,8.0mm,10.0mm,12.0mm,15.0mm to 18.0mm; Size from customized A0-A5/B0-B5 to standard size of 1.22*2.44M. The PVC Foam Board enjoying a light weight and excellent processing as well as chemical stability makes it a perfect replacement of Wood/Glass/PMMA/PS sheet/Aluminum Panel/ACP panel on part of occasions during signs making or decorations. While kindly pay attention to the PVC Foam Board’s whole board whiteness,cleanliness, flatness, toughness and rigidity,superior processing is for CNC engraving or for Laser engraving, Ink absorption,UV resistance or not etc,as these factors are real thing towards easy processing and cost saving. 7. Chemical Using such as Anti corruption. 3. 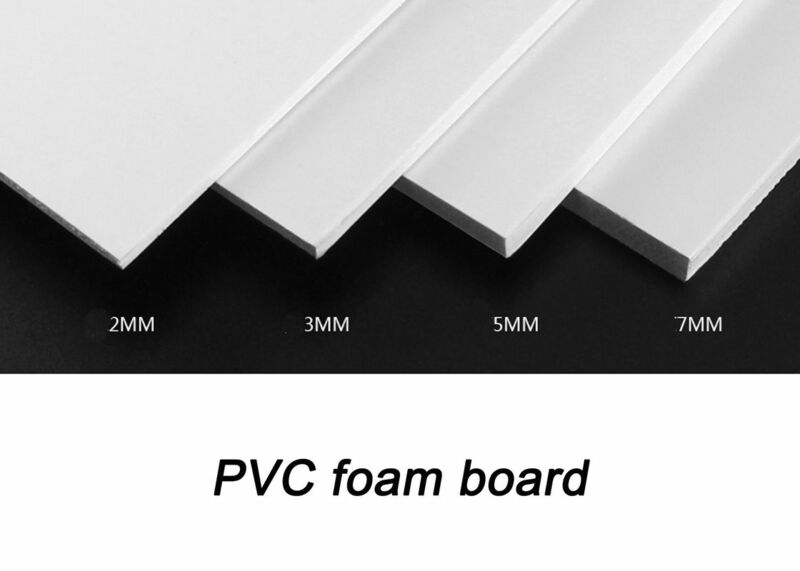 Full or half Container buying of PVC Foam Board will save cost for you, PE Film /craft paper/only big carton box plus wooden pallet protecting please notice us for bulk buying. Application: from quariums to architecture, boats to bathrooms, fashion to furniture and glazing to gliders and shop signs to shelving etc.